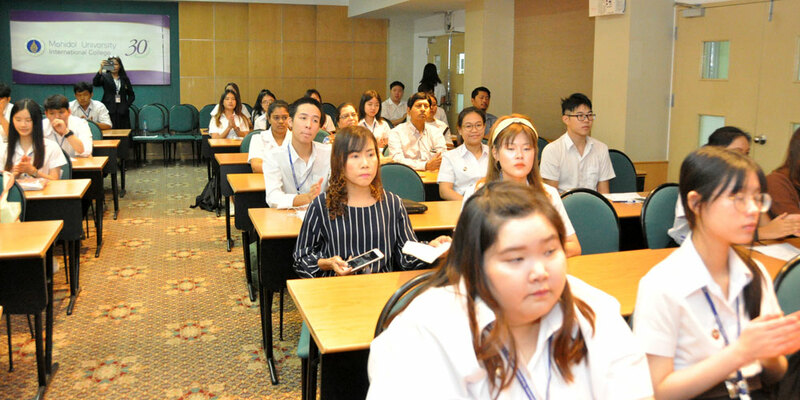 January 7, 2019: The Preparation Center for Languages and Mathematics (PC) carried out its orientation day for 45 new MP and PC students for Quarter 1, 2019. 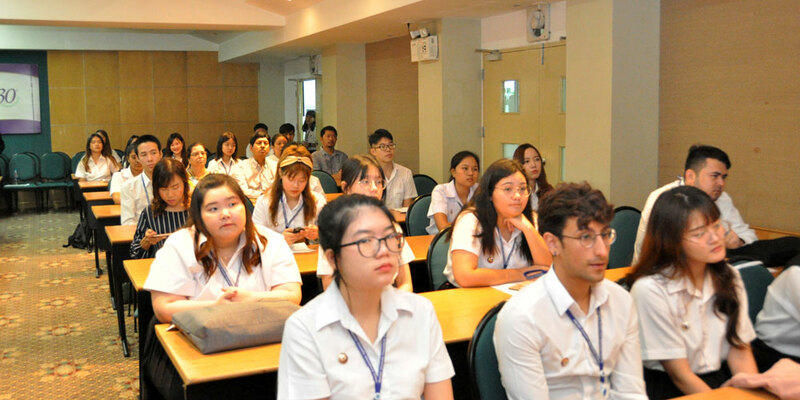 At the MUIC Seminar Room 1210, MUIC Building 1, students and parents stepped in to hear what they are going to experience at PC. 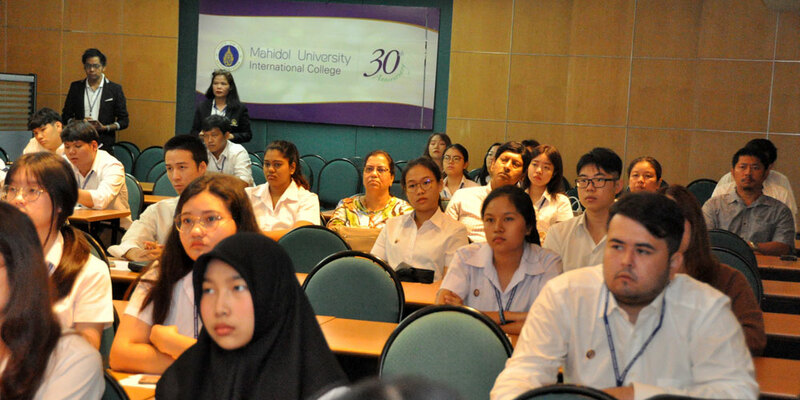 With over 300 active multinational students this quarter, those accepted to the PC and MP programs will be provided with not only courses for language and mathematical skills reinforcement, but also a wide range of welfare, student activities, and academic support as they go through each program. 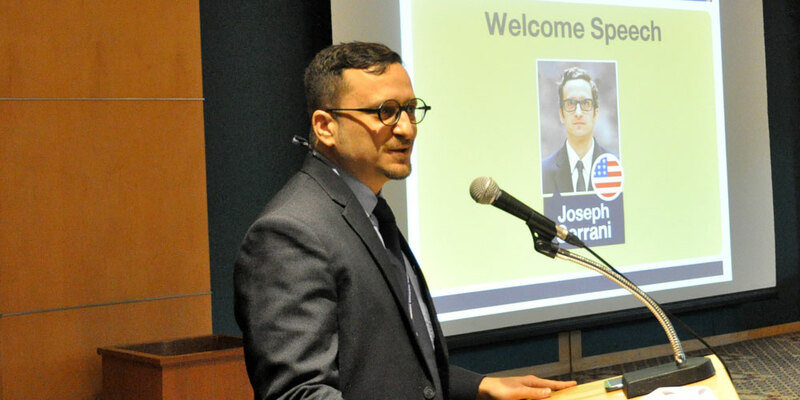 At the orientation, PC also handed out various awards to exceptional students. 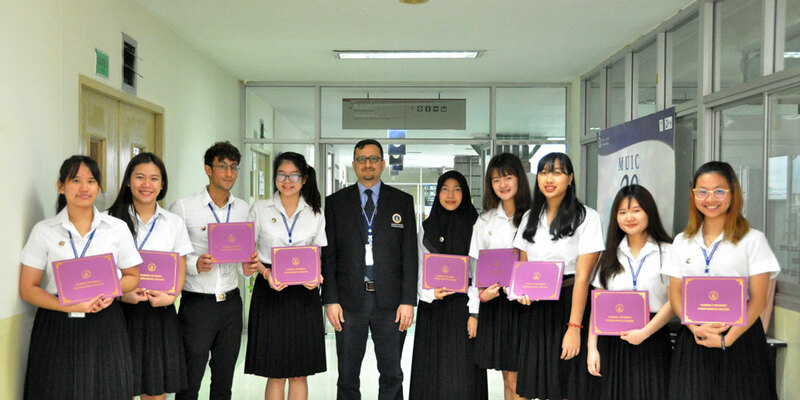 Presented by PC’s Program Director, Mr. Joseph Serrani, the Best PC2 Term Project award went to Ms. Pimol MONGKOLTHAVIP, who brought forward an excellent news video regarding a social issue in an ASEAN country. 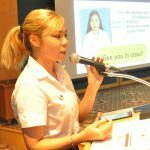 The PC orientation also brought back a former PC student who is now an MUIC student, Ms. Nantapat THANAPAKPONG, to deliver a memorable life-at-PC speech and inspire PC’s incoming students. 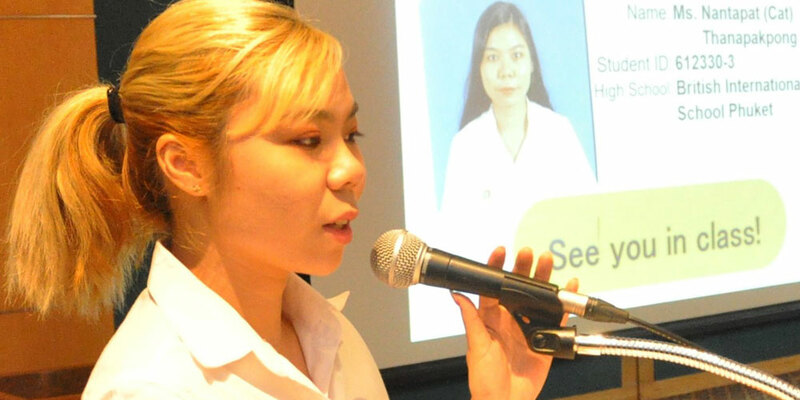 Ms. Nantapat, or Cat, also conveyed her impression of her study at PC in one part of her speech.